Penny stocks have piqued the curiosity of investors from a wide range of financial backgrounds. Perhaps there is something interesting in buying penny stocks online for a small amount of money, then watch it grow profit. While educated, investors will admit that penny stocks are as predictable as an earthquake, people still wind up investing in it. Penny stocks can also be called micro-cap stocks, or nano stocks. These stocks might be “pennies” for buyers, but for companies, this could be a big boost for startup capital. After all, even the biggest companies have to get capital somewhere. Penny stocks might be a novel term but it is as just as common as any stock in the market. In fact, they take up almost 70 percent of all stocks issued on NASDAQ and in NYSE. Buying penny stocks online are high-risk investments. Due to its low prices, just anyone can come in and invest. As investors, will tell you, the mass market can help the prices of these penny stocks swing left and right without settling into a predictable equilibrium. That is why the SEC warns that penny stock traders should be aware of the different risks involved in penny stock trading such as lack of information, fraud, and limited liquidity. Other pessimists on buying penny stocks point out that it might be harder for a specific stock to be sold quickly once you get a hold of them. The lack of liquidity makes penny stocks more harmful to buyers as it can be easily influenced by market makers, and management. That is why it is best to know the company and the nature of the specific stock. An uneducated guess will hurt you a lot. Penny stocks are usually traded via OTCBB before online penny stock traders appeared. OTCBB stands for Over the Counter Bulletin Board. It is an overall list for stocks not listed on any of the major U.S. stock exchanges. It includes the price quotations of the stock in questions which allows for easy trading between parties agreeing to a price. Other penny stocks that do not qualify in OTCBB are usually listed in pink sheets. Pink sheet is an online electronic system that allows swifter and faster tracking of information to help facilitate trading. Most investors look at pink sheet as an unsafe trading environment, while some budding investors see it as an opportunity for growth. There are also penny stock trading brokers found on the internet that will properly guide penny stock traders. This method has allowed more transparency of a once shady system. Buying penny stocks online has a lot of risks involved and a lot of rewards deserved. Just remember that like with everything in life, penny stocks are a trust and that with any investment made, a part of your trust is as stake. An informed decision on the penny stock that you are buying will give you more leverage as you pick stocks that help you conclude the interests that you have in the long run. You also need method /process by using that you can pick up winning penny stocks. Penny stocks are special stocks different than regular stocks and need special trading tricks and strategies. If you know correct strategies how to find and trade penny stocks you can make lot of money by trading penny stocks otherwise you can also lose lot of your hard-earned money very quickly if you do not use right stock trading tools, guide and stock trading techniques. 1) Very first step you will have to choose online stock trading broker and open an account with them. You should be very careful in choosing online stock trading broker as this can easily go wrong as many choices are available online. I will go with one of the top brokers like TDameritrade, Etrade, Scottrade etc… as these are very old and some of the best online brokers i have used. I will be writing more on this topic how to choose best online stock trading broker to help my readers. 2) I generally recommend you should have separate bank account to like it to your online stock broker account as once you open broker account you will have to tie you bank account with that . This will make your life easy to maintain your finance and separate your investment account from your regular account. 3) Next step is researching penny stocks and getting details about the companies to pick up right and winning penny stocks. There are many resources available online like stock trading forums, books on penny stock trading, newsletters on penny stocks, blogs, you will find reviews on some of the best penny stock trading system and books right here on awesome penny stocks site. I will be writing reviews on more good penny stock tools, programs, books to help my readers of awesome penny stocks so that they can use these great tools and make good money in stock market. 4) Once you find the good penny stocks buy the stocks using your online broker account. Make sure you do some analysis on how much money you should put in one penny stock. I always plan ahead of time to how much money i am going to put in stocks i am picking i do not put all my money on one bucket. 5) Last thing you will have to do once you buy penny stocks is monitor closely, as i mentioned above penny stocks are very different in nature from regular stocks you never invest long term in penny stocks , penny stocks are short term investment sometimes only for day or hours. As soon as you reach your targeted profit you should sell and take your profit. Will be writing more on this topic how to plan exit from a penny stock position, when to close the penny stock position, what are the things you should monitor once you hold penny stock position, exit strategies on penny stocks etc. SAN FRANCISCO – After months of resistance, Bank of America Corp. plans to turn over documents showing legal advice it received on its purchase of Merrill Lynch&Co. to the office of the New York attorney general, a person familiar with the matter said Monday. BofA’s board decided on Friday that it would waive its attorney-client privilege and hand over the papers, the person said, speaking on condition of anonymity because the New York AG’s investigation is ongoing. New York Attorney General Andrew Cuomo’s office is seeking to determine whether BofA misled shareholders about $3.6 billion in bonuses paid to Merrill employees and the investment bank’s mortgage lending losses, as well as whether BofA failed to tell shareholders that it considered backing out of the deal before it closed on Jan. 1. The attorney general’s office – and a U.S. district judge who is overseeing a separate Securities and Exchange Commission case – have questioned whether the bank knowingly hid details about the acquisition from shareholders ahead of a vote to approve the deal. Thus far, the bank had declined to provide details on legal advice it received on its disclosures to shareholders. A spokesman for Charlotte, N.C.-based BofA could not immediately be reached for comment late Monday. Bank of America agreed to acquire Merrill Lynch in a hastily arranged deal in September 2008, at the height of the financial crisis, just as Lehman Brothers was preparing to file for bankruptcy. When it asked shareholders to approve the takeover, Bank of America said Merrill would not pay year-end bonuses without its consent. But in August, the SEC said in court papers that BofA had already authorized Merrill to pay up to $5.8 billion in bonuses and didn’t share that information with shareholders. Merrill paid employees $3.6 billion in bonuses for 2008, a year in which it lost $27.6 billion, a record for the firm. Those losses hurt Bank of America, one of the largest recipients of U.S. government bailout funds. The bank received $45 billion in federal aid, including $20 billion to help offset Merrill’s losses. U.S. District Judge Jed Rakoff in Manhattan last month rejected a $33 million settlement between the SEC and Bank of America, saying the SEC’s accusations of inadequate disclosure by the bank over the bonuses must go to trial. The SEC has said it was impossible to establish whether Bank of America executives knowingly violated securities laws because the terms of the bank’s takeover of Merrill – including the bonus payments – were laid out in documents prepared by outside attorneys for the two companies. Bank of America was represented in the Merrill negotiations by New York-based law firm Wachtell, Lipton, Rosen&Katz. Merrill Lynch was represented by Shearman&Sterling LLP. The attorneys were mainly responsible for drafting the Bank of America disclosure filings. Bank of America has maintained that its disclosures to shareholders complied with securities laws. Company executives involved in the legal correspondence include Bank of America’s general counsel, Timothy Mayopoulos, who left BofA in December 2008, shortly before the Merrill deal closed. Brian Moynihan, the bank’s former president of global corporate and investment banking, took over the role. He is also head of the company’s largest division, consumer and small business banking. In its letter to the AG’s office, Bank of America said it will waive privilege with respect to communications about what bonus-related disclosures would be made in, or omitted from, the joint proxy statement issued by BofA and Merrill Lynch on Nov. 3, 2008 in connection with their merger. It will also waive privilege regarding BofA’s consideration about whether to back out of the deal under a material adverse change clause, and the disclosure or nondisclosure of Merrill’s 2008 fourth-quarter financial performance and potential goodwill impairment charges before the acquisition’s Jan. 1 closing. Lastly, BofA said in the letter that it will waive privilege pertaining to its communications with the Federal Reserve Board, the Treasury Department and other government officials regarding federal aid about the Merrill Lynch takeover. Former Treasury Secretary Henry Paulson acknowledged in testimony to Congress in July that he pressured Bank of America CEO Kenneth Lewis to proceed with the deal despite Merrill’s mounting financial losses. At one point during the discussions, Paulson pledged government aid to help Bank of America absorb some of the losses from acquiring Merrill. click here for related details. BofA said in the letter it will not waive privilege or produce documents created before Sept. 12 or after Jan. 16, the time which it says is of interest to Cuomo’s office. The bank also said that since it has reconsidered its position with respect to the New York AG’s investigation, it will also produce privileged information to federal regulators and to Congress. Virtually all investors would agree that their ultimate goal is to make the highest return with the smallest monetary investment. Penny stocks are highly appealing to many consumers, as a large, per-share investment is not required; however, generous returns are possible if the value of the stocks increase. Although they are not foolproof, as no type of investment can boast a guarantee, those who learn how to find awesome penny stocks typically enjoy a satisfactory outcome from their endeavors. 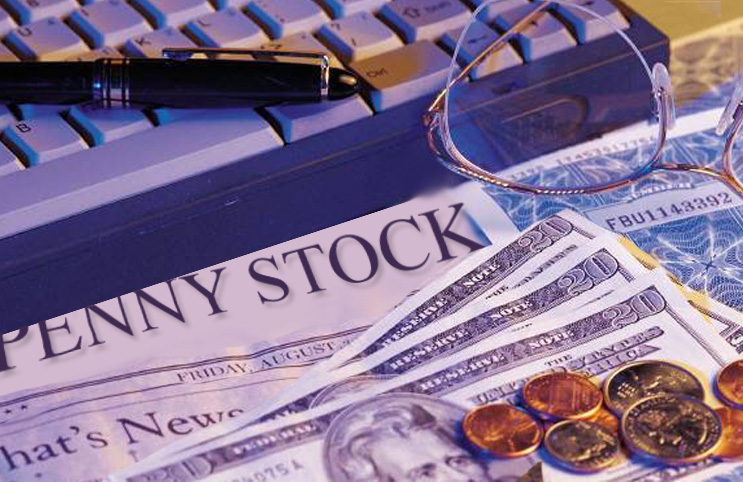 Many times, when a person initially hears the phrase “penny stock,” he or she assumes that this means the stocks themselves are sold for a few pennies. However, this is not the case. Rather, a penny stock is simply a stock that sells for $5 or less per share. It is essential for consumers to analyze the income statements and balance sheets for each penny stock in which they invest. The best place to begin is with a review of the revenue for each stock over the past 36 months. Although certain stocks may have more debt than revenue, the trend should be headed toward a profit or that stock is probably not the best choice for the investor. With the advent of the Internet, it is now possible for investors to reach other consumers from whom opinions can be obtained. Prospective investors should visit penny stock forums and note any penny stocks that are currently receiving positive reviews and comments from other investors. It is essential, however, to realize that forum members are generally not experts, and therefore decisions should never be made solely on information garnered from such sites. An individual may also decide to seek the advice of a financial planner or broker when wondering how to find awesome penny stocks. However, it is important to understand that there are fees associated with such services, and for this reason investors must take this into consideration before making a final decision. Ultimately, those who proceed with caution and make educated choices regarding their stock purchases usually find that penny stocks are a great tool with which to start an investment portfolio. In the natural resources arena, it’s been the fiscal metals that have observed a slew of price movement. The Canadian Yukon is fixing to be pounded by drill rigs willing to get some activity after a protracted winter of not drilling core samples. In the recent couple of months, the gold penny stock companies have been quite leisurely in reaction to the rapid hike in spot physical bullion price tags. Gold and silver rates have properly corrected as of the first week of May, coming into better conformation with the moving average since advancing too much too vigorously. The difference in price for monetary metals was not unimportant in any fashion. The price of the metal cost on silver and gold was drawn in quite a bit. Silver rose 30% in April, simply to give it back at the inception of May. Gold retreated down beneath $1,500 per ounce, though it’s moved higher again in recent days. Though the price movements were vast, they are simply short-term, so the time to get into gold ETF investments is right away. Wise money has come in and initiated a more impressive stake in silver and gold penny stock investments, principally with the spectacular pull-back in silver. Natural resources nonetheless have a long, long way to travel, and monetary metals will be unremittingly leading the way to still additional superb profits. The elementary fact of the matter is that silver was so far above the moving average that a contraction back closer to that moving average was all but obligatory. Any person amassing $50 silver possibly could be bothered, but believe me as I notify you that you can search back across times past and see that this is not the first time that a price readjustment of this breadth has transpired. What lots of individuals wouldn’t ascertain is that these price readjustments were not even big enough to retard the bull market, and both gold and silver continue to endure over their moving averages. Money managers who consider the situation as a great opportunity will be certain to seize cheaper positions or average down their stake. The marketplace for gold and silver is persisting to heighten and the purchasers are not entirely individuals like you and I, but also institutions searching to protect their monetary assets. click here for more information. Just pausing to discover the enormous gold grab by an American college will receive your attention. The fraud of fiat currency was officially spotlighted when the substantially regarded University of Texas determined it was time to substitute cash to “coin” and acquired one billion Dollars in gold to be conserved in a private depository. This is a considerable vote of confidence in the future of gold, whether retaining its worth against the Dollar or rising in price as expected. It’s unmistakable where they predict things headed. The inevitable rise in precious metal prices with only serve the gold penny stock miners better. Gold, fascinatingly enough, will have a pre-determined function to play in your life that’s at least moderately influenced by the culture you’re brought up in. For some individuals, the idea of owning gold is a bit mysterious; meantime, in other parts of the world it’s an deep-seated part of life. Society in India have turned to gold as a means of both financial protection and profit. Gold is habitually used in jewelry form for women as a fiscal safety net that could be sold if needed, or else is regularly bestowed from generation to generation. What’s fundamental is that the affinity for gold is static considering further diverging circumstances. It doesn’t make any difference if an Indian woman is Christian or Islam, as the predilection for gold perpetuates no matter what. The fact that Indian women have started working outside the home in the last decade or so is also impertinent. The deluge of “stuff” available for purchase has condensed the Indian saving rate somewhat, but the typical middle class family still keeps 20% of their wealth in gold. They not only maintain more of their investments in gold, but also preserve remarkably more than other developed countries. They tend to be bigger savers, and they also keep more of their savings in gold than most folks all over. Silver may turn out even more rare than before now. Canada now has its first ever entirely allocated, unencumbered silver bullion mutual fund, the Sprott Silver Bullion fund. There will be monumental segments of physical silver shifting into the coffers of this fund, merely intensifying the current supply and demand characteristics. With the possible size that the new Sprott Fund could realize, there possibly could be notable segments of silver taken from the market. Sprott at this time features the Sprott Gold & Precious Minerals Fund, Sprott Gold Bullion Fund, Sprott Silver Bullion Fund, and the exchange-traded Sprott Physical Gold Trust and Sprott Physical Silver Trust.